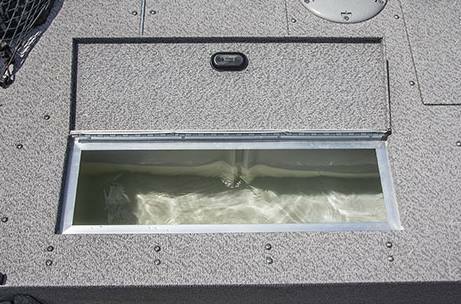 Aerated Livewell: An 11-gallon aerated livewell is located in the bow. 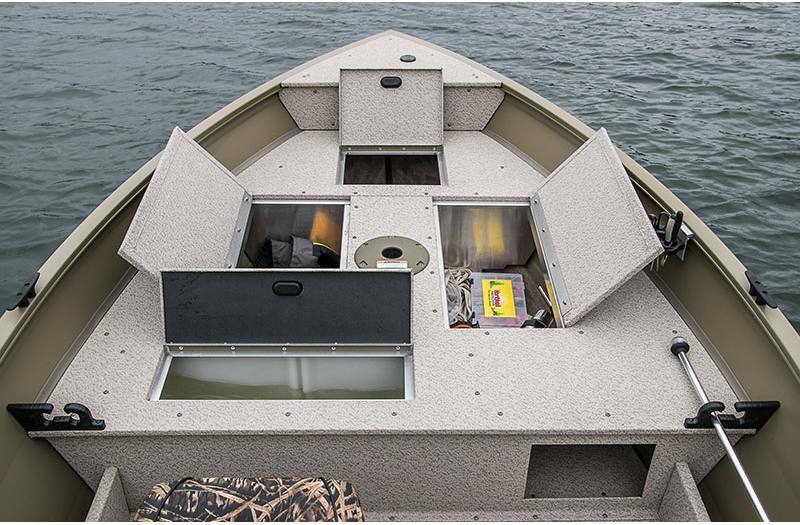 Bow Storage: Ample bow storage includes three large compartments and a dedicated battery compartment. 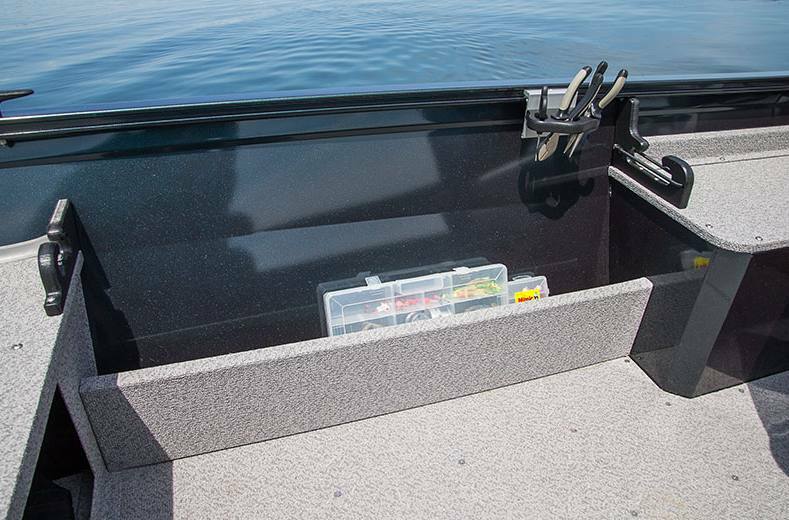 In-Floor Rod Storage: Center in-floor locking rod storage holds four rods up to 7' in length. SureMount Gunnel Accessory System: Removable SureMount Gunnel aluminum accessory brackets let you slide your favorite accessories along the gunnel for perfect placement without drilling. 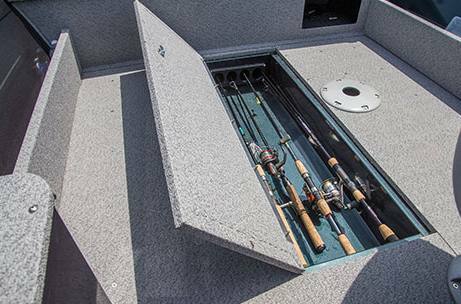 Quick Access Rod Rack with Storage: Quick access rod rack with integrated storage below keeps your rods and tackle close to the action. Holds two rods up to 7' in length. 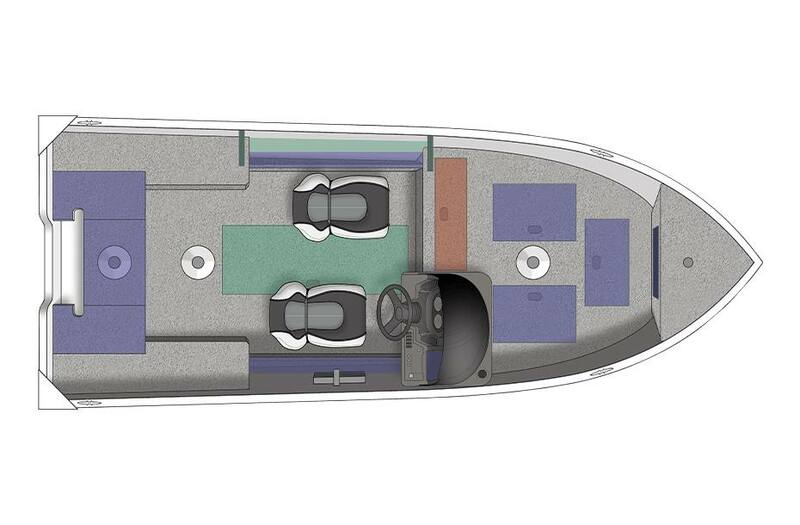 Tiller configuration includes a second rod rack on the starboard side. Side Console Configuration: Side console models feature a deluxe console with rocker switches, drink holders and phone storage. Gauge package, windscreen and fish finder optional. 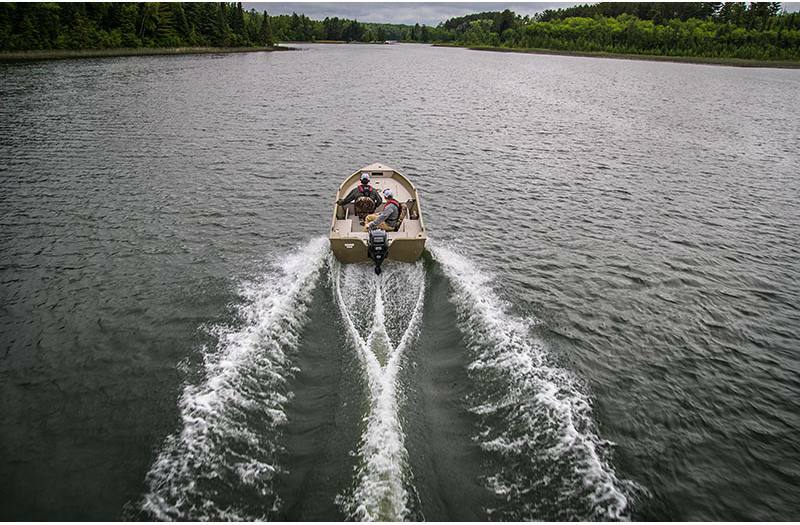 Tiller Configuration: Tiller configuration keeps everything you need within reach while allowing for more room throughout the boat to fish and relax. Custom Travel Cover: A snug, custom-cut travel cover attaches securely to extruded gunnels with easy on/off snapless "J" hooks. Bow Cargo Netting: Keep commonly used items secure, out of the way and still visible with under-gunnel bow cargo netting. 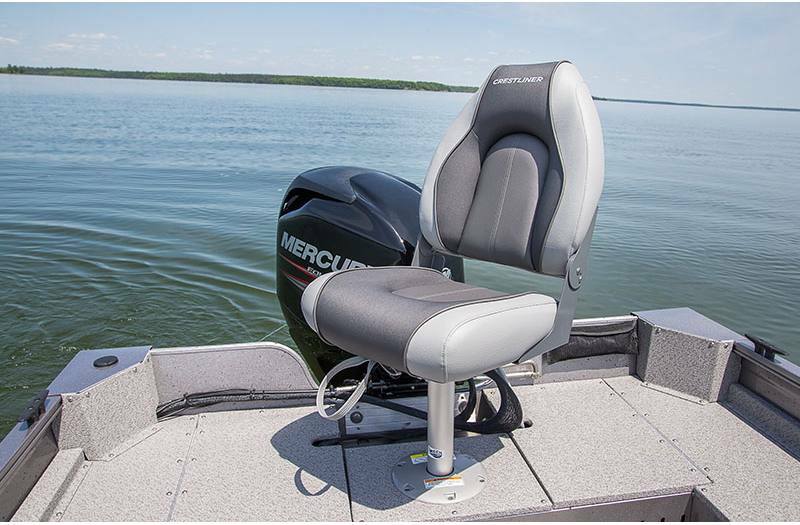 Deluxe Seat: Fish all-day in comfort with the deluxe seat. 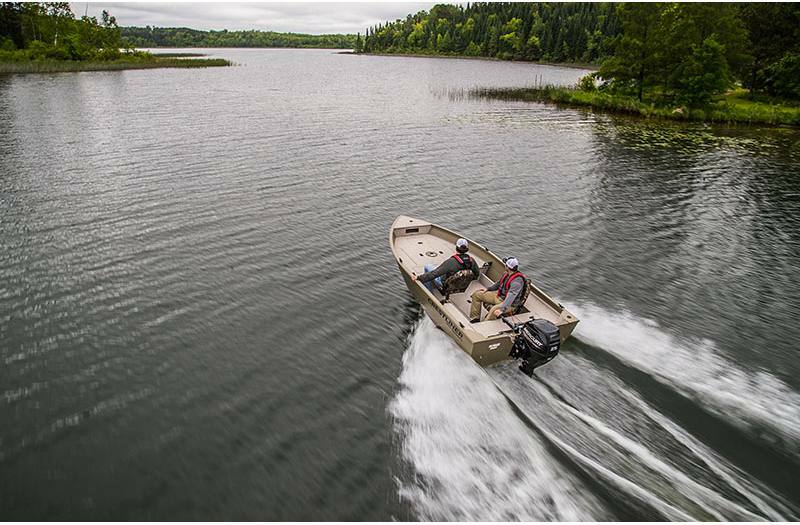 Windscreen: Keep the elements at bay so you can attack the water. Overall Length: 14 ft. 9 in. Boat/Motor/Trailer Length: 19 ft. 8 in. Boat/Motor/Trailer Width: 6 ft. 4 in. Boat/Motor/Trailer Height: 5 ft. 9 in. Max cockpit depth: 21.5 in. Weight (Boat only, dry): 765 lb. Max Weight Capacity: 1,080 lb. Aluminum gauge bottom: .090 in. Aluminum gauge sides: .080 in.